Here we will give you a call to follow up your enquiry. An opportunity for us to get to know you and understand what it is that you want to achieve. We will ask detailed questions to make sure that we will be the right team for your project, we also encourage you to ask any questions that you may have which allows us to either help you or point you in the right direction. Let’s get together and have a chat. During this time, we will let you know more about us, how we do things, which processes and systems we use to deliver a stress-free project. You will leave this meeting with a plan on how we will build your dream home. This includes pricing, timeframes, design process, materials, management of your project, council consents and your budget. We want to know everything - your ideas, dreams, plans, photos and even those pictures you decided to draw when you thought you might make it as an architect. Concepts, Design and Working DrawingsConcept Drawing - The transformation process. The stage at which all your dreams get put to paper, the drawing of the concept involves a lot of interaction and communication as it is key that we design at a project that is going to suit your family and a home you can be proud of. Its almost certain that during the Concept stage you will make plenty of changes which is why we like to interact with you and your design team throughout this process.Working Drawings and Consent – Once we have a concept that entails all the dreams and features you want out of a home. Your Architect will then develop the working drawings. At this stage you will have hold in your excitement as we apply for Building Consent with your local Authority. Once we receive working drawings and documents from the Architect, we will be able to start pricing your project using our custom pricing systems. You will then be presented with an in-depth quote detailing specific parts of your project. If you have any queries, please don’t be shy to ask. Once we have agreed on a price. You will receive a copy of the Deca Homes full Build Building Contract. We will also ask you to sign our personal Deca Homes Guarantee. “Building Together” … To make sure we are in this together, communication will be essential to making sure we keep your project running to schedule. The job schedule will be constantly updated and available to you. We also encourage you to us our latest communication Software in which you will be able to see all important details of your project including up date photos should you wish to share them with your friends and family. We will also induct you too site where we will make you aware of our Health and Safety Procedures and Site-Specific Safety Plan. Which then allows us to bring you on site for our weekly site visits. Before you know it, your home will be complete. The team at Deca Homes will personally invite you to a comprehensive walk through your home to address any details that you think may need attention. We will then present all the documentation needed to pass the Code of Compliance final inspection. Once your home has a received its complimentary commercial clean we are now ready for you to move in and start enjoying your beautiful new home. We will be there to personally hand over the keys and deliver you a personalised gift to show you how much building your home “together” has meant to us. 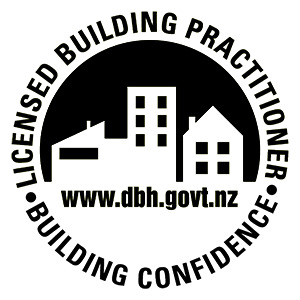 Put your mind at ease with a highly experienced and highly qualified builder with proven project management experience and excellent up-to-date training. Here at Deca Homes we value your individual needs. You can start with one of our pre-designed concept plans, (which are 100% customisable) or design from scratch. Either way, your unique needs are welcomed. Being licensed means you can be assured that the we have shown the skills, knowledge, and experience to meet government-backed national standards. Something that is needed to build new homes and renovations. With Deca Homes, you will get frequent updates on what's happening on-site. This ensures we give complete transparency throughout the build process and you have a front row seat to your new home and renovation. Each new home comes with its own 10 year guarantee. It's also independent. That means if the unlikely happened to us, your guarantee still stands.